The firemen are asking for help from Cinnaminson residents to fight breast cancer. 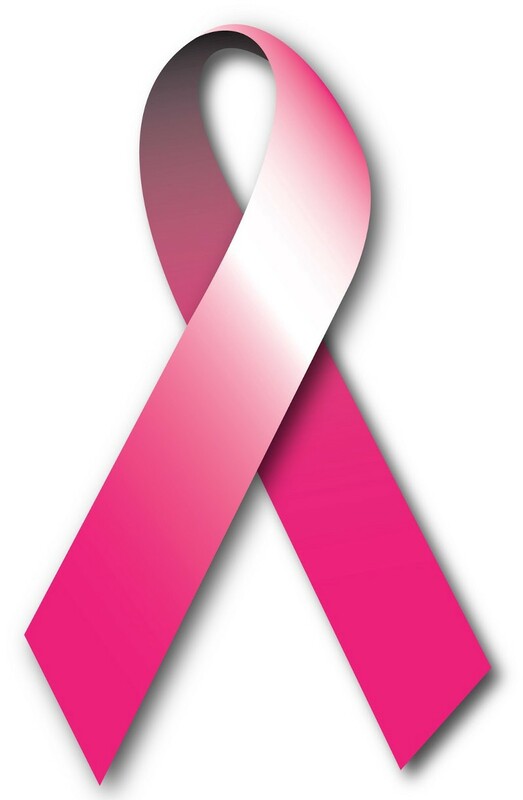 The pink ribbon is the international symbol of breast cancer awareness, and you’re likely to see pink everywhere you look this October. The Cinnaminson Fire Department is asking the town to join in to raise awareness as well as funds for two local charities. The fire stations have already been decked out in pink bows and lights, and now Cinnaminson residents can do the same with their homes and businesses. Pink bows and pink ribbon pins are available for a $5 donation at the fire station on 1621 Riverton Road from 8 a.m. to 4 p.m. Monday through Friday. Also available for a $5 donation will be pink lightbulbs residents can use in their outside lights for October. Those looking to support the cause can also attend a fundraiser on Oct. 13 at Sweet Water Bar & Grill. From noon to 8 p.m., a portion of all sales will be donated to the two causes the fire department is supporting. There will also be a silent auction for a basket filled with items donated by local businesses. The cause is a personal one for Cinnaminson Fire District Business Manager Jean Dietrick who was diagnosed with breast cancer in 2008 — the same year she started working at the Cinnaminson Fire Department. “It means a lot to give back to people who are struggling right now,” said Dietrick, a cancer survivor of eight years who is now cancer-free. This is the fifth year the fire department has held the event, and Dietrick says she knew they had to do something different this year. In past years, they sold t-shirts and had restaurant fundraisers. But when the town went blue for fallen State Trooper Sean Cullen this past March, the fire department thought it would be a great idea to do the same for Breast Cancer Awareness Month. All proceeds from the fundraiser will be split between two charities: the Tyanna Barre O’Brien Breast Cancer Comfort Fund and the Rebecca A. Scott Memorial Scholarship Fund. The Tyanna Barre O’Brien Breast Cancer Comfort Fund is dedicated to providing resources to both detect and prevent breast cancer for those who might not be able to afford it otherwise. The fund supports uninsured, underinsured and underserved women in Burlington and Camden counties. The Tyanna Barre O’Brien Cancer Comfort Fund has provided more than $158,000 in support since 2009. The Rebecca A. Scott Memorial Scholarship Fund was created to help those entering EMT and paramedic programs. This was the wish of Rebecca “Becky” Ann Scott, a paramedic in Burlington Township and an EMT in Mansfield Township, before she lost her 18-month battle with breast cancer in October 2015. Rebecca was awarded the Outstanding Paramedic Award in 2015. Many members of the Cinnaminson Fire Department had the pleasure of working with Rebecca, so this cause is very personal to them. This fund is new this year. Dietrick is hoping all Cinnaminson residents will come together in support of this important cause. A great way to get the whole family involved with the cause is to help kids paint jack o’lanterns pink this year. “We’re trying to get Cinnaminson to rally together as a town,” Dietrick said.